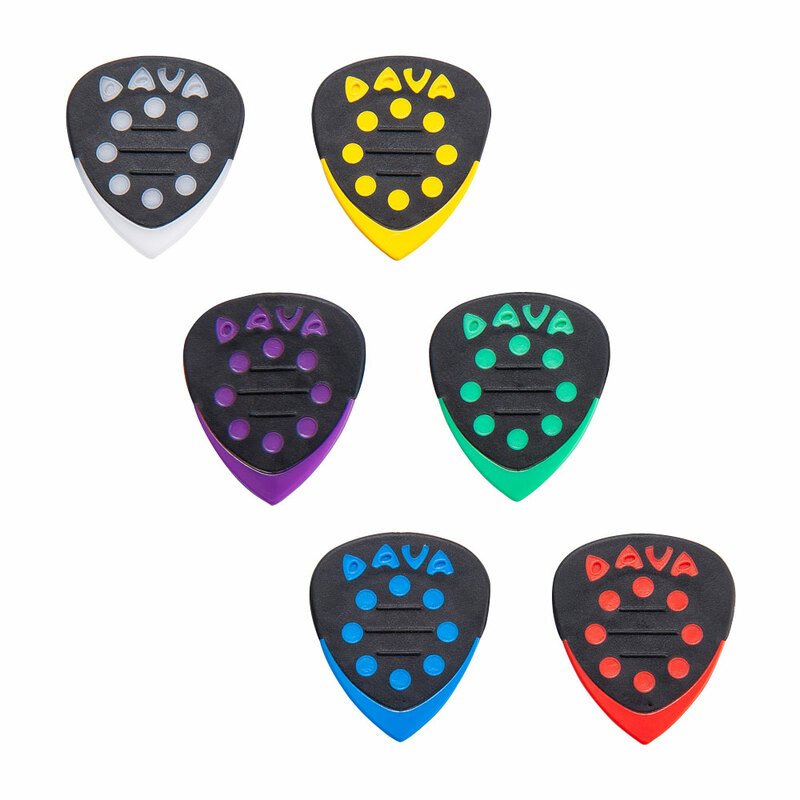 The Dava Jazz Grips Delrin Picks feel like having access to multiple gauge thickness plectrums all in one. They have a flexible centre section where the pick is held, grip the pick near the tip and it acts like a heavy gauge for tight picking control, adjusting your grip towards the back of the pick, releasing the centre section gives a light gauge flexible pick for strumming and rhythm playing. These Jazz Grips are stiffer than the Dava Originals and have the familiar Jazz style shape and sharp tip, the combo pack is made up of 2 x Delrin, 2 x Nylon, 2 x Poly Gels to get a feel for the different materials and they have a grippy rubber layer over the top for ultimate control.